indeed. The population generally resides in Victoria and along a narrow band near the east coast of the island up to Campbell River. While this distance of about 160 miles is not densely populated in it's entirety, the rest of the island is lightly populated. Vancouver Island is generally very mountainous and is part of the Canadian Coastal Range. The mountains are quite rugged, some are snow-covered until well into the summer and some are covered with glacial ice. The Comox Glacier is the largest such feature on the island and is very visible from the cities of Courtenay and Comox. There are many hiking trails to the glacier which are very popular in the summer. The glacier is at the edge of Strathcona Park, the earliest provincial park created in British Columbia in 1911. This park offers excellent hiking since in addition to the Comox Glacier, the highest waterfall in Canada, (Della Falls) and the tallest peak on Vancouver Island, (Golden Hinde), are quite accessible. Other major hiking opportunities on the island include the West Coast Trail, part of the Pacific Rim National Park, the Cape Scott Trail an the extreme northern end of the island, and the Juan de Fuca trail. Each of these hikes are very popular each summer. Victoria, the capital city of British Columbia, is located at the southern end of Vancouver Island. This is a famous tourist destination, especially for Washington State residents. Ferry service to Seattle and Port Angeles offers quick access to the capital city. Attractions include world class museums, gardens and architecture. A visit to the Butchart Gardens is a must for any visitor, regardless of the weather or time of year. A lively waterfront area abounds with buskers selling crafts, much of which is custom created on the spot for the buyer. Duncan, about 35 miles north of Victoria, is home to a forestry museum. This attraction contains a vast collection of tools, equipment and authentic buildings used in early logging camps in the area. It even operates a vintage steam locomotive on a circular track the rings the facility. Part of the route extends over a lake on a timber frame trestle. Not far south of Duncan is the Kinsol Trestle, a majestic timber frame structure that is currently being restored for use as part of the Trans Canada Trail. 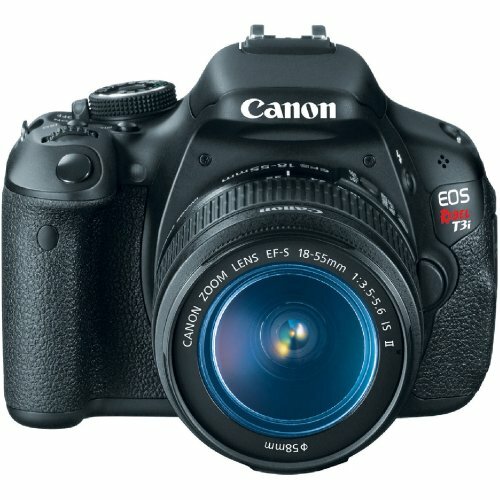 Best selling camera on Amazon! The highway to Tofino on the central west coast of the island, passes through a majestic grove of old growth trees. Some of these are giants, in excess of 1000 years old and 400 feet high. One of the large cedar trees has a circumference of over 30 feet. These are the most accessible old trees on the island and possibly the whole province. Note: there is a pair of 800 year old cedar trees in the parking lot of Goldstream Park just north of Victoria. Tofino is a quaint tourist town that is very close to the Pacific Rim National Park. Activities include surfing, whale watching and fishing. Long Beach, located within the park, is a spectacular expanse of sand. There are several other, smaller beaches in the area. Each of them may experience rough weather with crashing breakers. This is what the surfers seek. The smaller beaches are usually more protected. To the west, there is nothing but Pacific Ocean all the way to Japan. Beachcombers can often find material that originated there. Particularly lucky beachcombers will find glass fish floats. Japanese fishermen used these to keep their nets in place. The West Coast Trail runs from Port Refrew to Bamfield. This trail was originally used for crewmen of ships that sunk on the rugged coast. Survivors would proceed to either end for rescue. The trail is now a recreational hot spot. Visitors from around the world apply to hike the trail. It is operated by the Canadian government and is part of the Pacific Rim National Park. Fees are due from all travelers. Anyone wishing to hike the trail should be aware that it is an extremely difficult trek. Without proper preparation and gear, hikers can be at high risk of personal injury. The trail will require several days to traverse. Some parts of the trail are dependent on tide conditions. Certain stretches are not passable until low tide. The weather can be extremely harsh, even in the summer. Proper all-weather hiking gear is a must. Rathtrevor Provincial Park is a fabulous destination for campers and vacationers. It is located at Parksville on the east side of the island. The sandy beach is clean and very large. Many private campgrounds and resorts are adjacent to the park. This park is very popular with families as it has modern conveniences such as showers. The camping is fairly primitive, however, with no electrical or water connections at the individual sites. Many people arrive with rented motorhome RV that contain a full range of services. Several rental firms offer vacationers the ability to rent recreational vehicles for driving trips. If you intend to visit Rathtrevor, you should book a reservation in advance as the facility is often full. Drop-in visitors are often required to book at one of the other campgrounds nearby. Vancouver Island enjoys a warm climate, especially at Victoria and the east coast of the island. There are many farms producing a wide variety of crops. Many wineries have begun to produce good quality wine which they sell from their own tasting rooms. A great number of farms are certified organic and many others specialize in bison, emu, ostrich, llama and other unusual species. Vancouver Island contains an immense variety of scenery, wildlife, crafts, agriculture and more. Most tourists experience small amounts of Victorian hospitality. A few others explore more extensively. A great many people see Vancouver Island from their cruise ships en route to Alaska. Each of these passengers have no idea what they are missing, but they should come back to find out.